Partial reprint of the March 1957 (US) issue, plus a single story each from the January 1947, February 1948 and February 1957 (US) issues. Details taken from Table of Contents. Partial reprint of the April 1957 (US) issue, plus a single story each from the May 1955 and August 1955 (US) issues. Details taken from Table of Contents. 81 · The Most Obstinate Man in Paris [Insp. 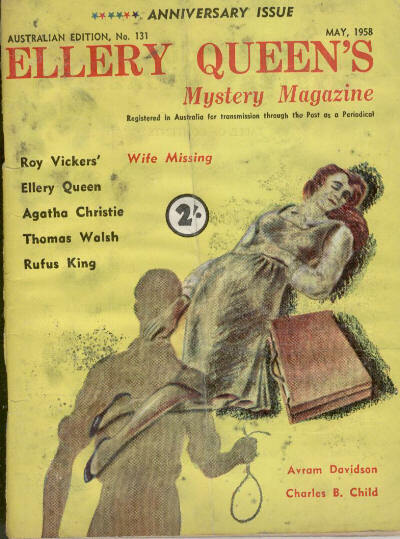 Jules Maigret] · Georges Simenon; translated by Lawrence G. Blochman · nv Ellery Queens Mystery Magazine Apr 1957; translated from the French (Le Client le plus obstiné du monde, Maigret et lInspecteur Malchanceux, Presse de la Cite, 1947). 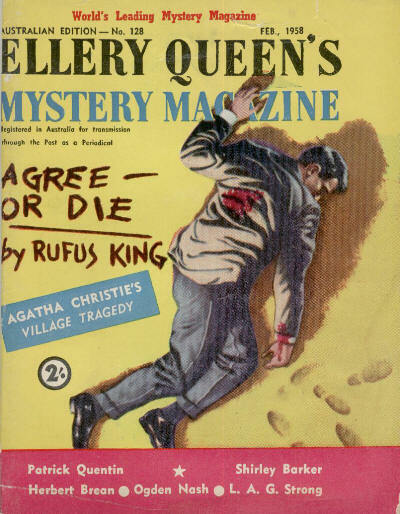 Partial reprint of the May 1957 (US) issue, plus a single story from the August 1950 (US) issue. Details taken from Table of Contents. 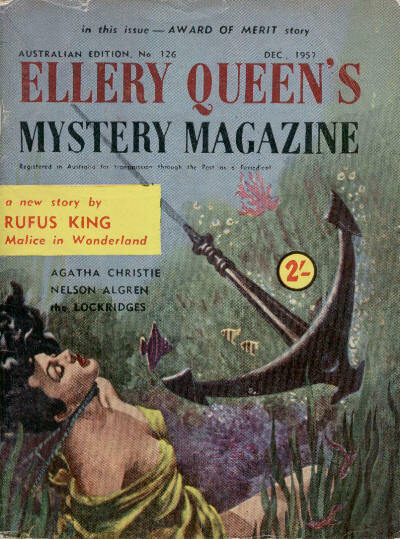 Partial reprint of the June 1957 (US) issue, plus a single story from the December 1951 (US) issue. Details taken from Table of Contents. 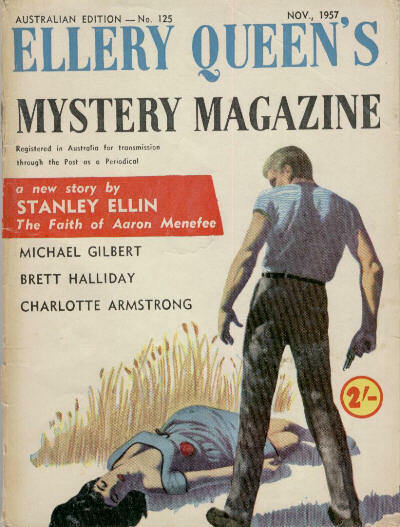 Partial reprint of the July 1957 (US) issue. Details taken from Table of Contents. 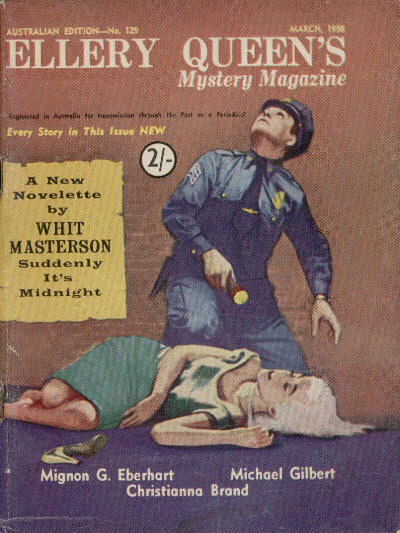 Partial reprint of the August 1957 (US) issue, plus a single story from the December 1955 (US) issue. Details taken from Table of Contents. Partial reprint of the September 1957 (US) issue. Details taken from Table of Contents. 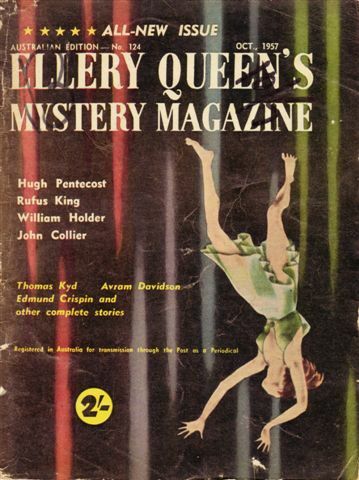 Partial reprint of the October 1957 (US) issue. Details taken from Table of Contents. Partial reprint of the November 1957 (US) issue, plus a single story from the September 1957 (US) issue. Details taken from Table of Contents. 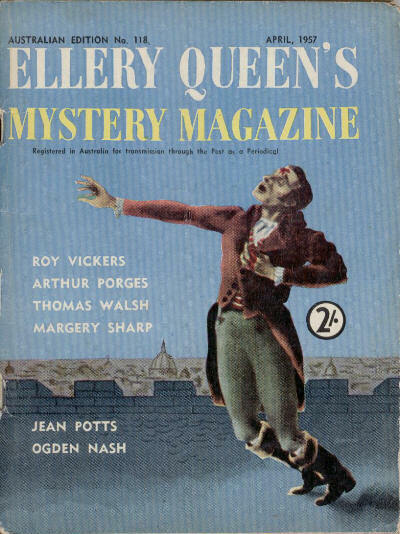 Partial reprint of the December 1957 (US) issue. Details taken from Table of Contents. Partial reprint of the January 1958 (US) issue. Details supplied by Chris Wood. 56 · Rabbit Out of a Hat [Insp. 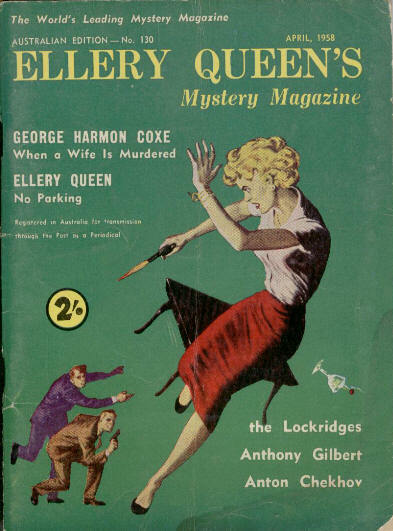 Cockrill] · Christianna Brand · nv Ellery Queens Mystery Magazine Jan 1958; given as by Christianna Broad in the Table of Contents. 76 · Operation Cryptic [Insp. (Supt.) 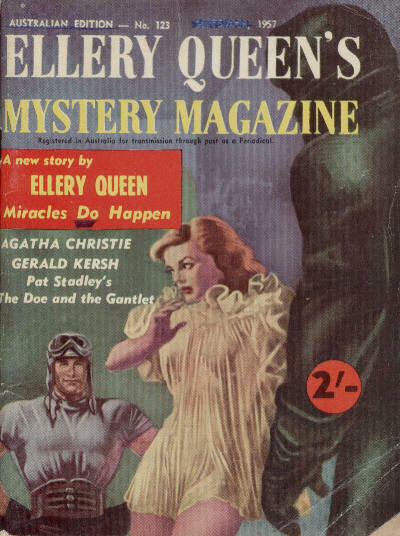 Hazlerigg] · Michael Gilbert · ss Ellery Queens Mystery Magazine Jan 1958; revised from Voyage Into Illusion (Argosy (UK), July 1957). Partial reprint of the February 1958 (US) issue, plus a single story from the September 1948 (US) issue. Details taken from Table of Contents. 66 · Hush-a-Bye, My Baby · Anton Chekhov · ss Cooks Wedding and Other Stories, Macmillan 1922, as Sleepy; translated from the Russian (Spat khochetsya, St. Petersburg Gazette January 25, 1888). 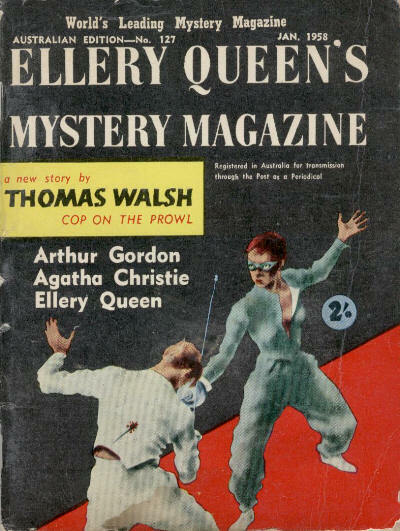 81 · The Lady and the Tiger · Jack Moffitt · nv Ellery Queens Mystery Magazine Sep 1948 [Frank R. Stockton]; continuation of Frank R. Stocktons The Lady, Or the Tiger?. Partial reprint of the March 1958 (US) issue, plus a single story each from the November 1954 (US) and January 1958 (US) issues. Details taken from Table of Contents.